The move to incorporate file sharing into CRM is an important one, and has been a long time coming, Holger Mueller, principal analyst at Constellation Research, says. “CRM and document management have been separated systems for the longest time, with documents in most cases just lingering on the hard disks of users. And that certainly is suboptimal in the 21st century, with vital information left in the documents,” he adds. 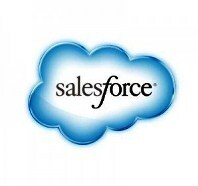 As Salesforce continues to roll out its Files Connect feature, the tool will also facilitate file sharing across the Salesforce1 platform, allowing users to share external files such as Powerpoint presentations from Microsoft OneDrive or FAQs from SharePoint within the Salesforce Service Cloud.